CAMBRIDGE, ON – Ten associations from across the Ontario Hockey Federation have been selected as a 2019 OHF Championship Host. The hosts are nominated by their Minor Member, before being approved by the OHF Minor Committee. The OHF Championships are rotated annually between the Minor Hockey Alliance of Ontario (ALLIANCE), Greater Toronto Hockey League (GTHL), Northern Ontario Hockey Association (NOHA), and Ontario Minor Hockey Association (OMHA). The OHF Championships are the pinnacle events for all minor hockey players from Atom through to Midget, serving as the only tournaments to crown the best team from each level across the OHF. The hosts will see near 100 players taking part in the three-day Championships in April to battle it out for the title. The OHF Championships will run from April 12 – 14, 2019. The Ontario Hockey Federation will host both the All-Ontario ‘Bantam AAA’ Championship and the Central Region Midget AAA Championship in 2019. 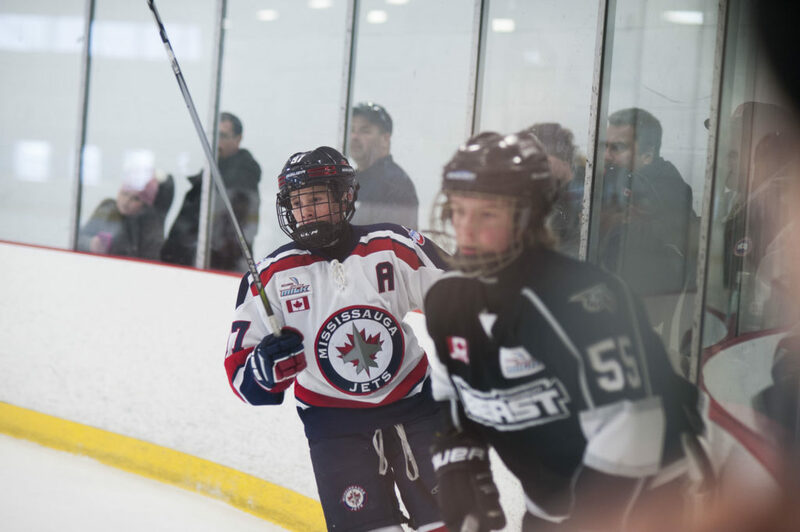 The Toronto Titans of the Greater Toronto Hockey League (GTHL) have been selected as the Bantam AAA host while the Clarington Zone Hockey Association of the Ontario Minor Hockey Association (OMHA) have been selected to host the Midget AAA Championships. Hockey Eastern Ontario will be hosting the PeeWee AAA Championship. The All-Ontario Championships are the pinnacle events for AAA Peewee and Bantam hockey teams, bringing together the champions from each of the OHF, HEO and HNO, along with the host team. Whereas the Central Region Midget AAA Championship, which is part of the Road to the TELUS Cup, sees champions from the OHF’s four minor Members (the Minor Hockey Alliance of Ontario, the Greater Toronto Hockey League, the Northern Ontario Hockey Association and the Ontario Minor Hockey Association), the HEO champion and the host team, make up the field for the six-team event. Rotated through the Branches on a yearly basis, HEO will be host to the All-Ontario PeeWee AAA Championship. The host association is selected from applications submitted by the Branch or Member. The All-Ontario ‘Bantam AAA’ Championship will run from April 1 – 5, 2019, the Central Region Midget AAA Championship will take place on April 1 – 7, 2019 and the All-Ontario ‘PeeWee AAA’ Championship will be running April 8 – 12, 2019.